Abbey Medical Practice is run from two sites and patients are able to access services from either of these sites. All of our doctors and nurses work from either site, so registered patients have the ability to see their usual GP or nurse irrespective of whether they live in and around Earls Barton or in Wellingborough. We have a large and experienced team of doctors, nurses and allied healthcare professions working as a cohesive team, supported by managers, administrators and receptionists. Abbey Medical Practice in Wellingborough, Northamptonshire is looking to recruit an Advanced Nurse Practitioner Manager to lead and support 11 members of our current nursing team. The successful candidate will have outstanding people management and organisational skills as they will be part of the senior management team. The ethos at Abbey Medical Practice is that providing excellent patient care is at the heart of what we do. 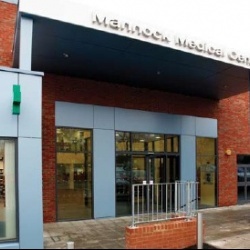 We are a large practice of 17,300 patients operating from a purpose built medical centre in Wellingborough and a smaller branch surgery in the village of Earls Barton. We have a very strong clinical team to meet the needs of our patients. The practice is led by 5 GP partners working with 2 Salaried GPs, 1 Clinical Pharmacist and 1 Healthy Minds Practitioner. Our current nursing team consists of 4 Advanced Nurse Practitioners, 4 Practice Nurses and 3 Health Care Assistants. This large clinical team work collaboratively with 28 members of the Patient Services Team who play an important role in supporting clinicians with administrative work. Be highly motivated and relish a challenge. You will work for 5-6 sessions a week, 2 of which will be dedicated to management responsibilities. In the event of staff absence from the practice you will be expected to show flexibility to ensure we are providing core service to our patients. Please contact Dr Rajat Srivastava on 07768512546 or email rajatsrivastava@nhs.net if you are interest in this position.